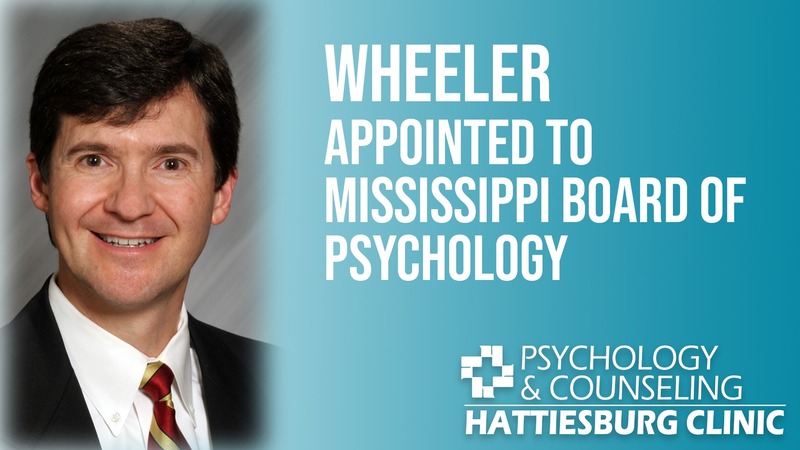 Mississippi Governor Phil Bryant recently appointed Lynwood Wheeler, PhD, ABPP, a licensed, board certified psychologist with Hattiesburg Clinic Psychology & Counseling, to serve a five-year term on the Mississippi Board of Psychology. By law, the Mississippi Board of Psychology regulates the practice of psychology to “safeguard life, health, property and the public welfare” of the citizens of Mississippi. The Board strives to prevent the “unauthorized, unqualified and improper applications of psychology” by examining education and training credentials, administering examinations for minimal competency to practice, requiring continuing professional education, investigating practice complaints, and enacting penalties for violations of practice standards or ethical principles. Dr. Wheeler is one of six psychologists serving on the board. Dr. Wheeler provides outpatient counseling and psychological evaluations at Hattiesburg Clinic Psychology & Counseling, where he serves in practice with Carrie Powell, PhD; James Kent, PsyD; Robert Sevier, PhD; David Yowell, PhD; Krystal Draughn, LCSW; Josh Hamm, LPC; and Carol Simmons, LPC.